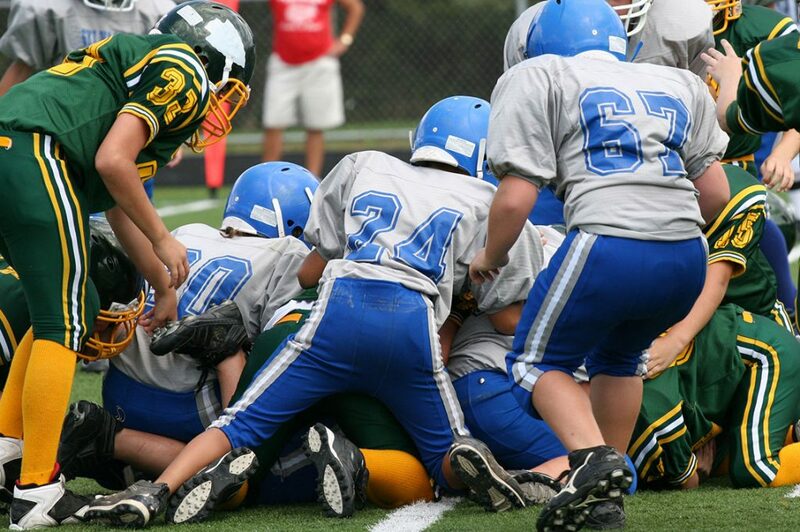 Recently, the American Academy of Pediatrics weighed in on youth football injuries. Its Council on Sports Medicine and Fitness reviewed studies on injuries in the sport and reviewed the possible effects of some of the popular ideas to decrease injuries, especially head and neck injuries. I discussed some of the AAP’s recommendations for my latest newspaper column. Parents of young athletes are more concerned than ever about long-term risks of playing football. In response, many health experts have proposed radical changes aimed to make football safer. Banning tackling before a certain age and making practices noncontact are two of the more popular ideas. Some have even called for eliminating high school football altogether. Given that over 1.1 million adolescents play high school football and over 250,000 play youth football in Pop Warner alone, any efforts to decrease injuries could make a big impact. The most logical interventions serve to decrease injuries related to tackling since it is the most common activity involved in football injuries. Tackling or being tackled causes half of all injuries in the sport, including the serious head and neck injuries. Likewise, researchers have identified the brain disease chronic traumatic encephalopathy (CTE) in a high number of deceased NFL players. More research has linked CTE to repetitive subconcussive blows to the head. Efforts could be made to decrease these repetitive impacts, such as the collisions between offensive and defensive lineman on each play. Last weekend, the American Academy of Pediatrics issued a policy statement to improve the safety of young players. The AAP’s Council on Sports Medicine and Fitness offered recommendations for several key areas of football. First, coaches and league officials must enforce rules about contact with opponents. Spear tackling, which causes a majority of catastrophic injuries to the cervical spine, and targeting the heads of opponents must be removed from the sport. Many experts believe that the brains of young athletes are more susceptible to long-term harm and thus recommend banning tackle football before a certain age. Dr. Robert Cantu, co-director of the Center for the Study of Traumatic Encephalopathy and Medical Director of the National Center for Catastrophic Sports Injury Research, told me recently that he recommends that kids don’t play tackle football before age 14. The AAP recognizes that by starting tackling at a later age, such as in high school, the head impacts from collisions will be greater with faster and stronger athletes. Therefore, coaches must thoroughly teach proper tackling techniques and methods for evading tackles. Efforts should be made to decrease the number of repetitive blows to the head. One step could involve decreasing the number of practices in which contact is allowed each week, as many football leagues have done. Alternatively, coaches could cut back some of the routine tackling and blocking drills. Athletic trainers are critical members of a sports medicine team, qualified to evaluate and manage injuries and medical emergencies. Football teams and leagues at all levels, including youth football, should work to ensure the presence of athletic trainers at practices and games. If parents do want their kids to play football but avoid the risk of injuries, there should be more non-tackling leagues. Kids could get the physical health benefits, camaraderie and teamwork aspects of the sport without exposure to frequent collisions. Finally, it makes sense that removing tackling from football would dramatically cut the number of concussions and other serious injuries, but it would radically alter the nature of the sport. Parents of young athletes must evaluate the benefits of playing football with the possible short- and long-term health risks. Then they can decide if they want their kids to play football in the first place. Note: A modified version of this article appears as my sports medicine column in the October 28, 2015 issue of The Post and Courier. 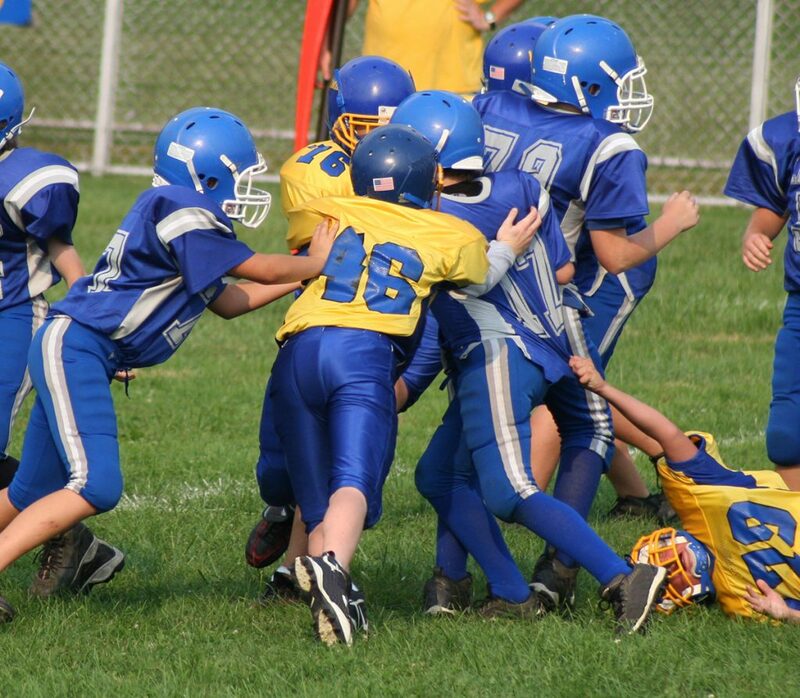 Tackling in Youth Football. Council on Sports Medicine and Fitness. Pediatrics. Originally published online October 25, 2015. Can the NFL make football safer for its players?